Can you identify these seeds? They are some of our favorite cover crops. Here’s a hint list. Can you match the seed with the picture above? Why use cover crops? Here are the benefits of cover crops, in general. However, each cover crop can have a specialized use. 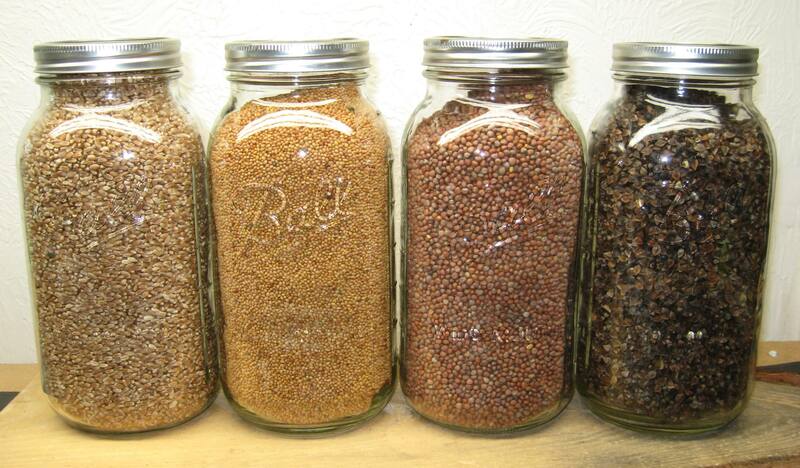 Perhaps you can think of these jars like farmer tools that can be used to fix and maintain the soil. Can you match these uses with the seeds listed above? “Bio Drills” tap roots mine up soil nutrients and break up compacted soil. “Solar Soil Charger” adds nitrogen to the soil. “Speedy Ground Cover” that is a weed suppressor and phosphorus scavenger. “Sweet Nutty Berries” that are incredibly appealing on the farmer’s table. 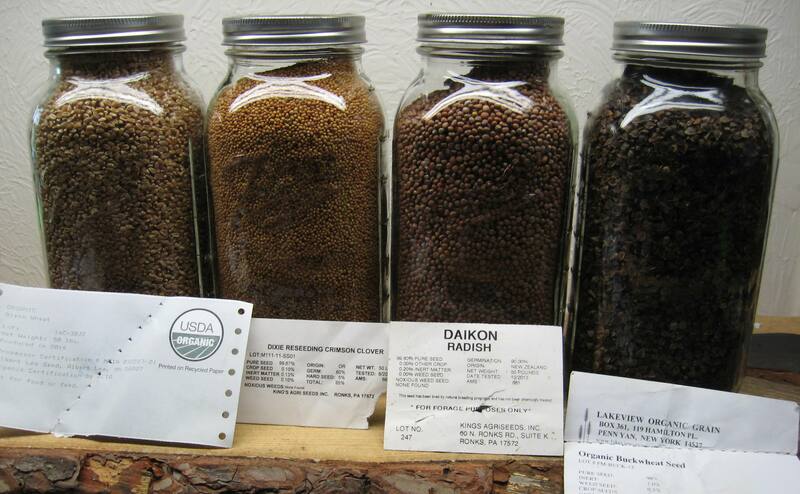 This entry was posted in Farm News, Field Notes, Marketing, Soil Conservation, Soil Nutrition and tagged Buckwheat, cover crops, Crimson Clover Daikon Radish, Hard Red Spring Wheat. Bookmark the permalink.